Evidence-based policy is public policy informed by objective evidence. It is an extension of the idea of evidence-based medicine to all areas of public policy. An important aspect of evidence-based policy is the use of scientifically rigorous studies to identify programs and practices capable of improving policy-relevant outcomes. 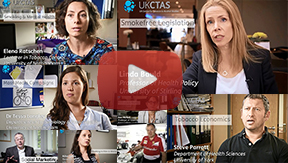 A documentary analysis of the civil liberties debate around alcohol and tobacco consumption which explores the rights of the various parties involved and affected by policy, and the role of the industries in framing and shaping that debate. The role of fairness in evaluating interventions which focus on individual behaviour and responsibility, and differential social risk and cultural practices. The ethical acceptability of trade-offs between health-related and other policy objectives in central and local government policy formation and implementation, addressing the wider benefits and costs to individuals and society of different policy approaches. These analyses will take account of the different roles that tobacco and alcohol use plays in society, and harms and benefits that arise from their use. On policy we will continue to work closely with the Royal College of Physicians, Alcohol Health Alliance, Action on Smoking and Health and other advocacy and professional groups, and also with policy-makers, to build consensus, identify priorities and shape policies to reduce smoking and alcohol misuse (for example, persuading the BIT to embrace harm reduction). Drawing on contemporary theories of policy change (such as policy network approaches, policy transfer and policy-orientated learning) we will identify new policy priorities and generate route maps for change; apply deliberative democracy methods to assess impact of risk, ethics and economic awareness on acceptability of new initiatives; and explore the ethics, barriers, and cost-effectiveness of voluntary and legislative interventions.